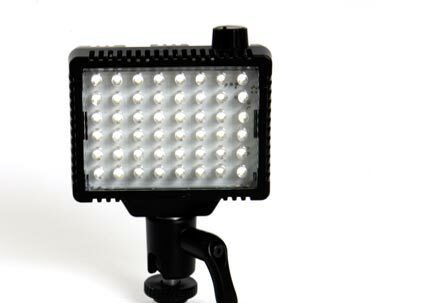 Litepanels Micro Ultralightweight on-camera LED fixture The Litepanels Micro™ offers the most compact, lightweight solution for on-camera lighting with daylight balanced LEDs that can light up an interview or add a little sparkle to the eye. Easily mountable on DSLR or video camera, the Micro can run up to 1.5 hours on just four AA batteries. For longer runtimes camcorder batteries can be used with an adapter place. Twice power of the Micro So powerful, it's proven to be a favorite of broadcasters and cinematographers alike, Litepanels MicroPro™ is the optimum LED light for videographers and photographers who use HD camcorders, and DSLRs Offering output similar to a 50W camera light, this cool-running, power efficient, go-anywhere fixture provides double the output of the Micro, yet is still lightweight enough to rest comfortably on board your camera. The professional LED light that runs off 6 standard AA batteries. MicroPro daylight on-camera lighting fixtures harness the company's proprietary LED technology in ultra-lightweight, compact package. 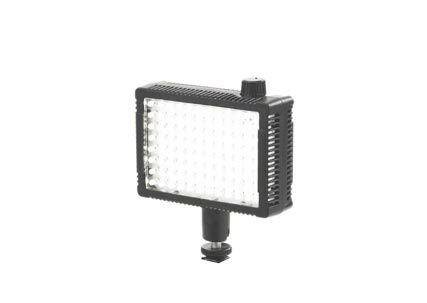 With twice the illumination of the Litpanels Micro, the MicroPro offers luminous, soft, directional lighting, with the same warmth and great color characteristics that made Litepanels an integral part of television, broadcast news & motion picture productions worldwide.